When you first arrive in the placid little town, sitting snugly atop its ocean cliffs and looking out upon a dazzling sea bejeweled by immense rocks called “sea stacks,” it is difficult to imagine its 140 year history. 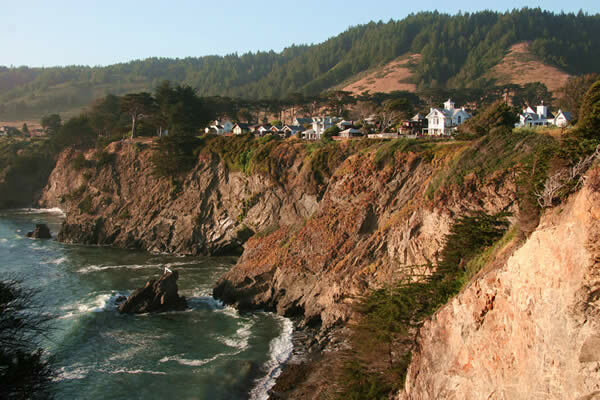 Most people who discover the Elk Cove Inn & Spa expect to be surrounded by the natural beauty of the ocean and rugged coastal headlands and to relax and regain their smiles. There is a surprising list of things to do without even getting into your car. 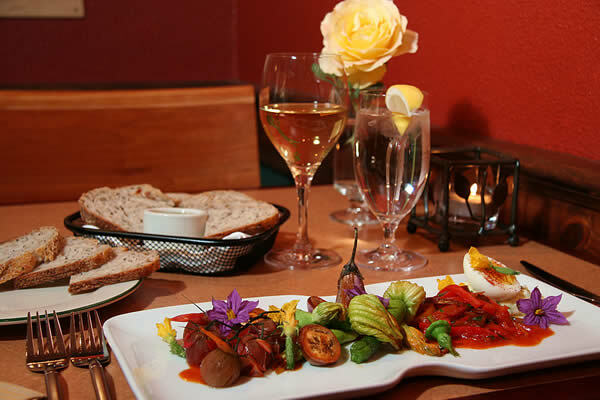 Below are our top suggestions for enjoying your time on the Elk & Mendocino Coast of California. Find a secluded spot for a picnic. Walk or run along the beach. Explore the coastal tide pools. Observe local birds and take wildlife photography. Build a beach bonfire at sunset. Walk to the local art gallery, store, and restaurants. Learn local history at the Visitors Center. Read a book under a tree or in the gazebo. Stay in touch with loved ones via our free Wifi. Nothing — our return guests’ favorite activity. But getting out and about on this spectacular stretch of northern California can also be rejuvenating because of the incredible variety of activities to awaken all of your senses — feeling the ocean spray from astride a kayak, smelling the forest while hiking or horseback riding, savoring the tastes of local wines, beers and foods, marveling at the views from atop the lighthouses or among the gardens, and just taking delight in the art, music, theater, and festivals so unique to the Mendocino coast. 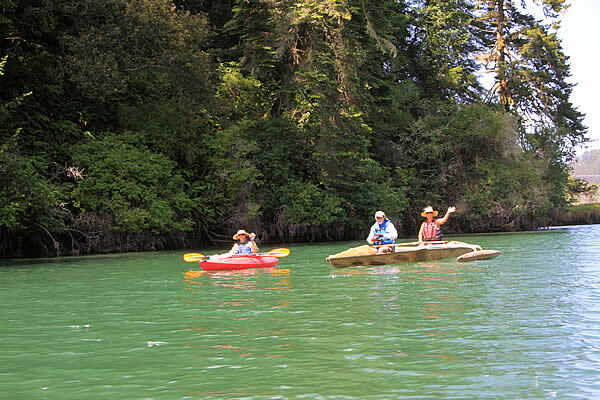 Most all of these types of activities on this page are within 25-60 minutes drive north or south of the Elk Cove Inn. Check out the new web site linking visitors to downloadable maps, route descriptions, photographs and other information on public trails and beaches along the rugged coastline. Coordinated by the Mendocino Land Trust, the new Mendocino Trail Finder is easily located via web browser and can be accessed instantly on any smartphone by scanning the correct QR code. The most popular activities are listed below with convenient links or phone numbers for more information. These are some of the most popular hikes in the area but there are at least 6-10 other great locations for hiking in the forests or on the beaches. And for those who are fans of artisan craft brews, at both the North Coast Brewing Company (40 minutes north in Fort Bragg) and Anderson Valley Brewing Company (30 minutes east in Boonville) the gardens are the spot for relaxing beer tasting.